Clogau presents this stunning pendant inspired by Welsh royalty. 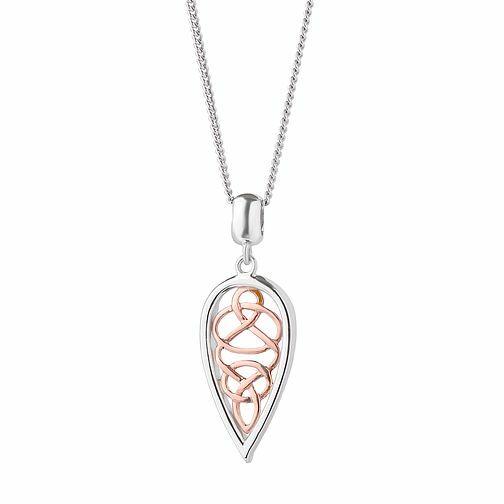 A sterling silver leaf shape is set with interlocking rose gold elements. Hanging from a silver curb chain. Clogau Welsh Royalty Pendant is rated 5.0 out of 5 by 1.